Besides regularly teaching private piano lessons, Clara Co has taught general classroom music classes for five years in public and private schools. She is a graduate of California State University, East Bay, having earned a Bachelor of Arts in Music and a Single Subject Teaching Credential in Music. She completed a Kodály Level I music program, as well as fulfilled the teaching requirements for the Suzuki Book I from Holy Names University. She has accompanied for the Royal Choir, a children’s choir that has sung in local churches and venues, including the annual Christmas party at Children’s’ Hospital in Oakland. She has also volunteered as an assistant in music classes for toddlers and preschoolers, and she has served as a teacher’s aide for students with special needs in elementary classes. Additionally, Clara has found joy as a church musician, serving at First Baptist Church in Castro Valley for five years and working as a part-time accompanist/cantor for two church services in Walnut Creek and San Francisco. 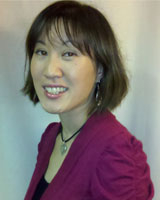 Clara provides piano lessons for beginner to advanced level students at ABC Music in Livermore. Furthermore, she is a member of the Music Teachers’ Association of California and the American Guild of Organists, as well as a vendor under Connecting Waters Charter School and F.A.M.E. Public Charter School. With lessons that focus on integrating technique, repertoire, sight-reading, ear training, and music theory, her students develop their abilities to perform solo and ensemble repertoire in recitals. And by being patient, helpful, and detail-oriented, Clara works with her students to unlock their full piano-playing potential.